Kashmir’s love for Bollywood survived the acid test in which even cinemas were locked. Now Kashmiri youth are trying their luck on Mumbai sets. The latest entry is Zain Khan Durrani, a commerce graduate from Delhi University, who landed in a lead role in Kuchh Bheege Alfaaz. Award-winning director Onir has directed the flick. Durani is the second Kashmiri who will play a lead after Zaira Wasim’s Dangal, a film that got her enough of rave reviews, appreciation and awards, the latest by the state government as well. She has already done a second film Secret Superstar. A resident of Srinagar’s uptown Bagh-e-Mehtab, Durrani, 26, has done his schooling at Burn Hall School and later joined Delhi Public School, Srinagar. As a bright student, he always remained active in creative works. Apart from participating in theatre and debates, he says, he writes poetry as well. Finally, he got admission in Zakir Hussain College, in commerce stream and shifted to Delhi in 2011. In 2017, soon after his graduation, Durrani participated in an audition and was short-listed. 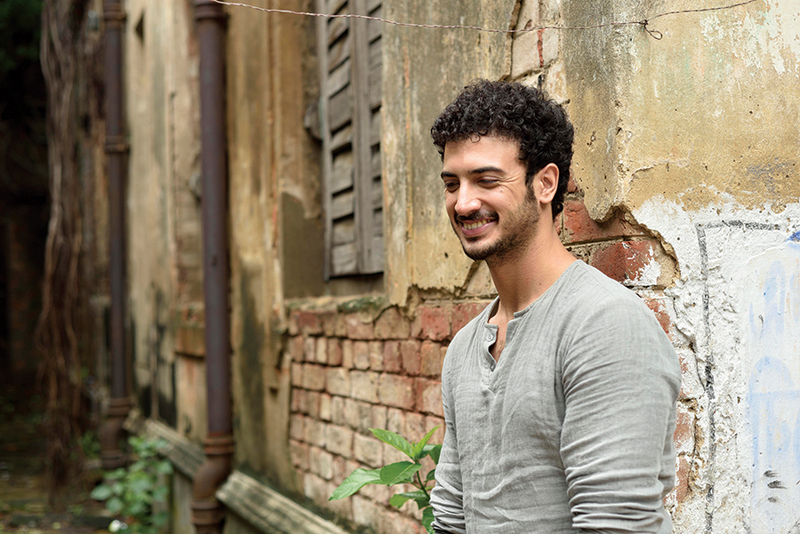 Later, he met Onir who asked him to come to Mumbai for a screen test. In Mumbai, he loved to do what he was so passionate about. But the bit of “struggle” was at home. His doctor father and professor mother wanted him to join IAS and not the reel life. “They wanted me to be an IAS like most parents in Kashmir started to think after Shah Faesal’s success,” Durrani said. “Honestly I was ready to do it but my parents somehow realised that I was in love with poetry and theatre.” Initially, his mother was a little hesitant but it did not take him a lot to convince her but his father has really been supportive of him. As Durrani’s debut movie is readying for release in February, he hopes that the movie will encourage other Kashmiri youth to pursue their dreams and not what their parents or the society wants them to do. Duran’s film KuchhBheegeAlfaaz is scheduled for release on February 16, 2018. Produced by Yoodlee Films, a venture of Saregama, the film also stars Geetanjali Thapa and as well. The storyline of the flicker that is public suggests that Durrani plays the role of RJ Alfaz who, despite his tremendous following, prefers staying detached and anonymous. There is Archana, a girl working at a creative agency, who is leukodermic but lives life to the fullest. A misplaced call helps them meet. This takes the film into the intense relationship between two unlikely characters, “one overly compensating, but in denial of her present, and the other buried under a dark secret of his past”.